In these ever-changing times, the world at large is still ready to embrace new music that dares to express a different sensibility and challenge its audience’s preconceptions. Such is the case with the new album by Charlotte Gainsbourg. For her third venture into record making, the much-loved actress enlisted the aid of one of America’s most prolific and multi-gifted natural talents, Beck. Both individuals have stayed at the very summit of their respective professions ever since they first came under public scrutiny. Charlotte’s own debut record occurred back in 1986 when at the tender age of thirteen, she sang for her father Serge Gainsbourg throughout the album Charlotte Forever. That same year, she won the “Most Promising Actress” Cesar for her role in L’EffrontÃ©e and has gone on to receive other equally prestigious awards for her subsequent acting choices. In 2006 her second album 5 :55 reached the top position in the French album charts. the past 15 years has been as mercural and playfully eclectic as it has been stunningly prolific. mainstream or underground,” maintains Charlotte in reference to her musical career and I.R.M. is situated in neither camp. ‘world music’ if you want. More precisely, it’s a penetrating voyage into the inner universe of Charlotte Gainsbourg as brought to life by a true American original – Beck- at the peak of his musical powers. This – in the words of its two protagonists- is how “I.R.M.” came to be created. how I reacted and what I had to say. grouped in Los Angeles for three weeks – and then we had two other sessions that were ten days long. The same can be said for the album that represents the fruit of their labour. Not since the bygone days when David Bowie collaborated with Iggy Pop and Lou Reed wrote songs for Nico have two artists colluded together in a recording studio with such daring results. I.R.M. is prefaced by the release of its first single, ‘Heaven Can Wait’ featuring a special vocal duet between Charlotte Gainsbourg and Beck. 2. Eligibility. Subject to the additional restrictions below, the Charlotte Gainsbourg. ticket giveaway (“Sweepstakes”) is open to residents who are 18 years or older at the time of entry. Employees and contractors of Goldenvoice (“Sponsor”), respective affiliated companies, and advertising and promotional agencies, and the immediate family members of, and any persons domiciled with, any such employees or contractors, are not eligible to enter or to win. 3. How to Enter. The Sweepstakes will begin July 18th at 3 p.m. (PT) and ends on July 19th at 11 a.m. (PT) (“Sweepstakes Period”). All entries become property of Gothamology and none will be returned. The entry deadline for the drawing is July 19th at 11 a.m. (PT). 4. Winner Selection. 1 winner will win a pair of the Charlotte Gainsbourg concert tickets about 5 p.m. (PT) during the Sweepstakes Period from among all entries received. 5. Prizes and Odds. 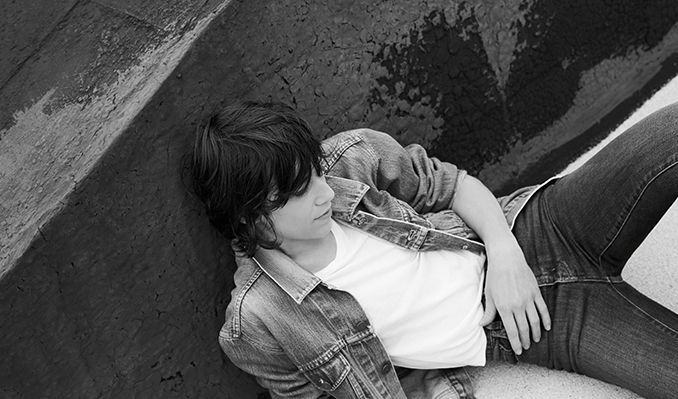 1 winner will receive a pair of the Charlotte Gainsbourg concert tickets. Odds of winning depend on the number of eligible entries received. 6. Winner Notification and Acceptance. Sponsor will call during regular business hours at number provided on entry form and will leave no messages. Failure to reach winner by phone after three (3) attempts may result in disqualification of winner, forfeiture of his or her interest in all prizes, and selection of a substitute winner from among all remaining eligible entries. To claim prize, the winner will be contacted by sponsor by 5 p.m. (PT) A valid photo identification may be required. Winners may waive their right to receive prizes. Prizes are no assignable and nontransferable. No substitutions allowed by winner. Prizes are not redeemable for cash. Prizes and individual components of prize packages are subject to availability and Sponsor reserves the right to substitute prizes of equal or greater value. Winners are solely responsible for reporting and payment of any taxes on prizes. Winners may be required to complete an affidavit of eligibility/liability and publicity release (except where prohibited by law) which must be returned as directed by Sponsor. Failure to sign and return the affidavit or release, or to comply with any term or condition of these Official Rules, may result in a winner’s disqualification, the forfeiture of his or her interest in the prize, and the award of the prize to a substitute winner. Except where prohibited, acceptance of any prize constitutes winner’s consent to the publication of his or her name, biographical information and likeness in any media for any commercial or promotional purpose, without limitation the Internet, or further compensation. Prizes not won and claimed by eligible winners in accordance with these Official Rules will not be awarded and will remain the property of Sponsor.